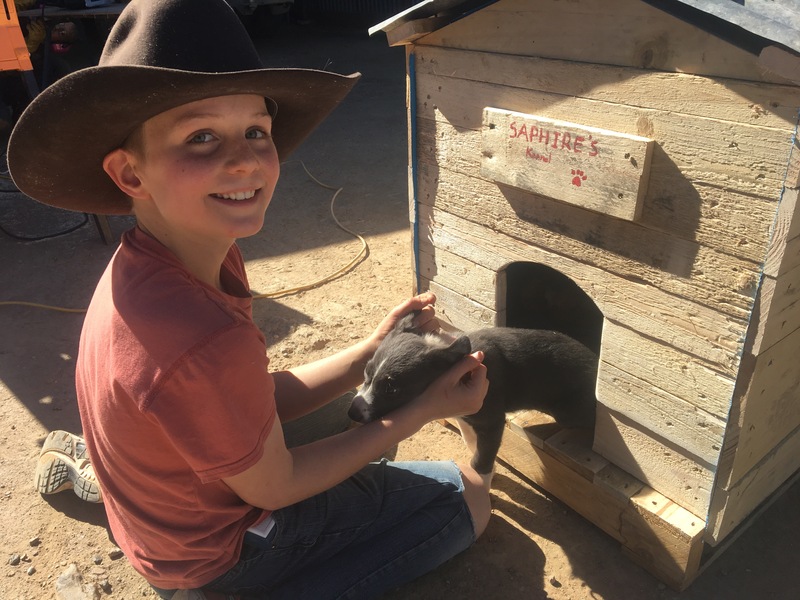 The last few months have been a little busy on the Rock Farm – mostly the hectic wholesome crazy of raising kids who stick their hands up for every opportunity that passes their way. This is no bad thing at all, and the Little Helpers continue to amaze and inspire me. I am extremely proud of them. 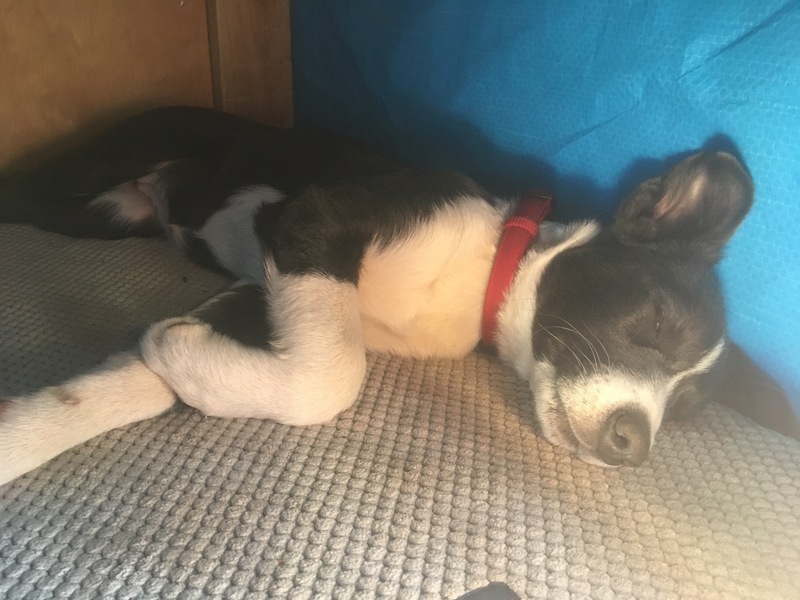 With so many things going on, the last thing on my mind was a new pet, but somehow we were introduced to a gorgeous blue border collie cross pup that stole our hearts. And so Sapphire joined our family. 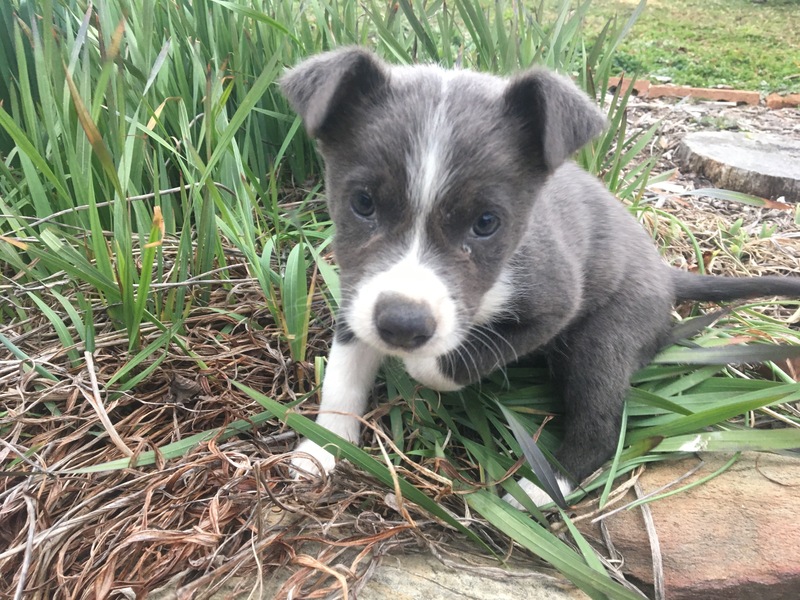 This little bundle of happiness has come into our lives – and reminded us of all the things you forget about puppies. The house training, constant chewing, and ceaseless curiosity has at times tested all our patience. But not unexpected, and we have all fallen for this sweet little girl. The whole family has been involved in Sapphire’s training program, trying to ensure our approach is both consistent and positive. And she is a quick learner. We have one smart dog on our hands. But a new puppy also needs a new house! I had started collecting the odd pallet or two on the way home from work. 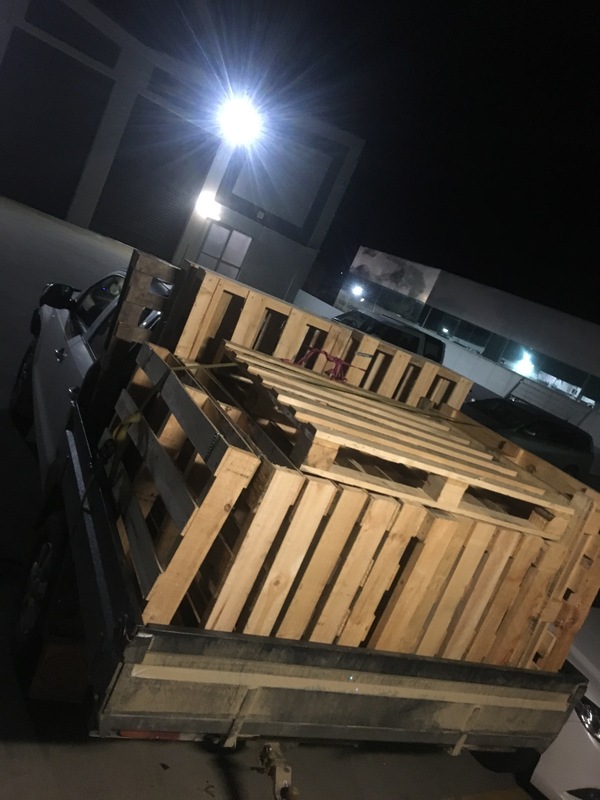 A local courier company offered free pallets to anyone willing to pick them up from the footpath. The stack(s) at home were starting to grow, and we needed a new project. Sapphire was the perfect excuse to get the Little Helpers involved in a new project. 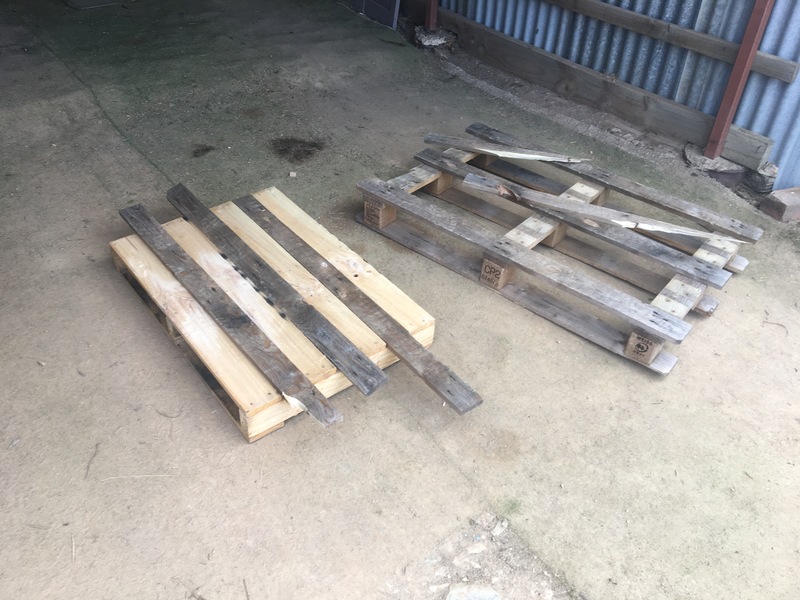 Over the course of a day we carefully removed boards from some old pallets and re-purposed a small pallet to be the base of the new kennel. After sealing the cracks, we had a sturdy floor. A frame was made using some of the pallet bearers. Dimensions were largely based on the existing timber lengths. We had minimal cutting to build this frame. Pallet boards were carefully de-nailed, cut to length and then nailed to the frame. The Little Helper cut an entrance carefully into the front with the jigsaw. A sheet of old iron was carefully trimmed and formed the roof. 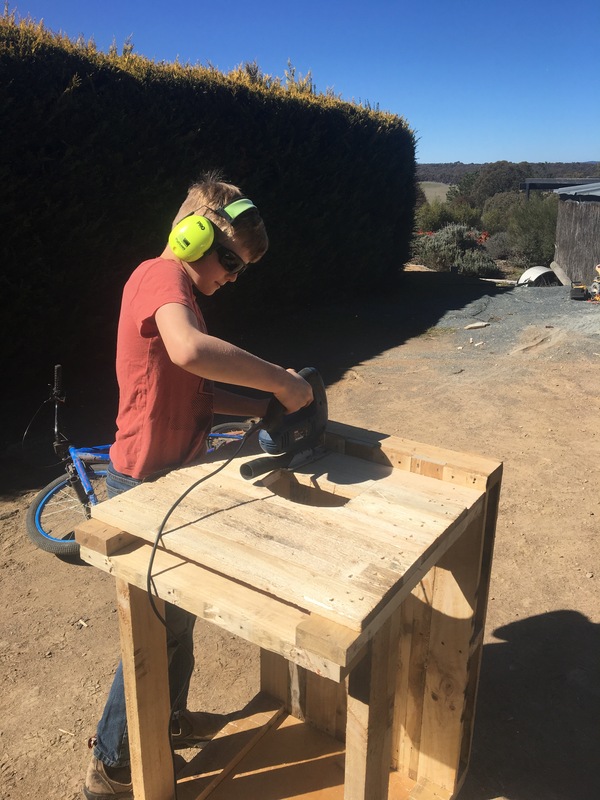 I used the angle-grinder to cut this – not quite ready to let the Little Helper’s play with this tool. And before long, our 99 percent recycled dog house was complete. 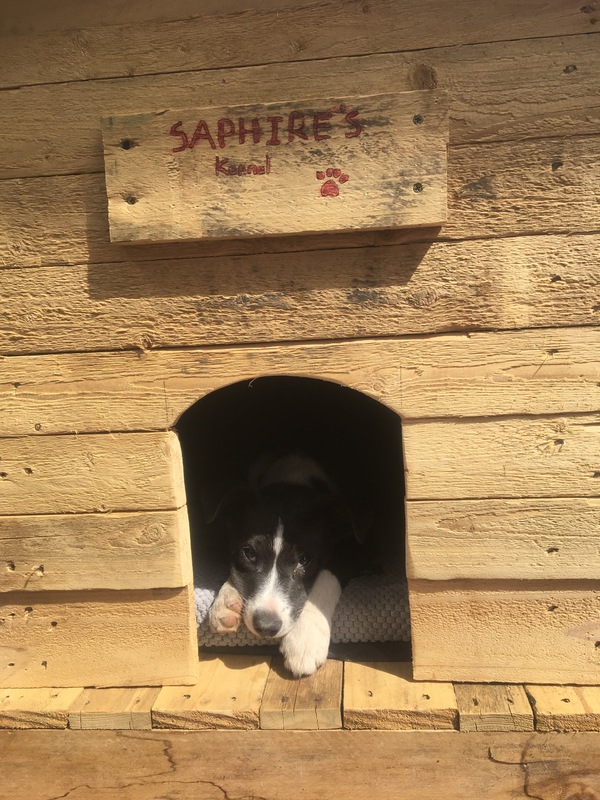 Poor Sapphire didn’t really seem too keen on the kennel at the start. But it didn’t take too long for her to fully appreciate the comforts of her new home. And there are times it is darn hard to get her out of it! The best part about this project is that every scrap of timber and the roofing iron in this project was recycled. The sarking was left over from our barn renovation. The only thing that was new was the nails! 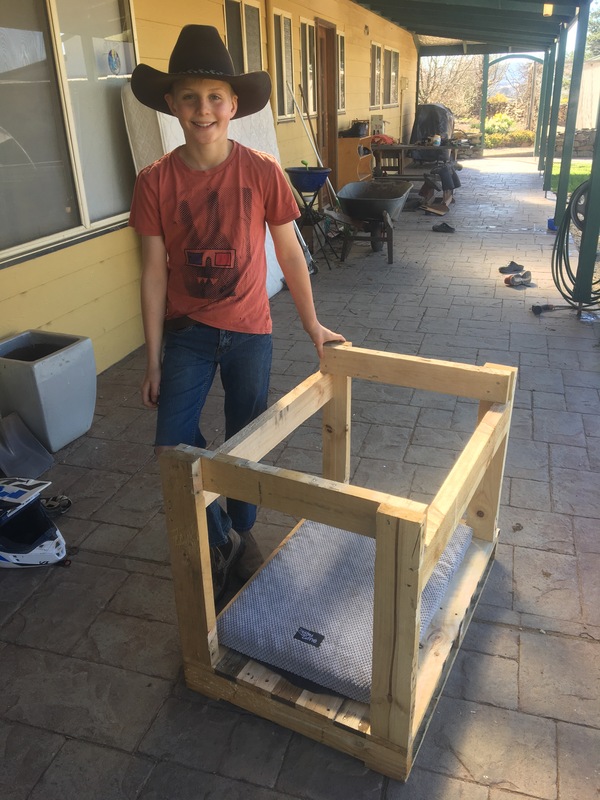 The boys are really excited about finding a project they can make – with minimal supervision. After a quick check of Gumtree, they figure there is a market for recycled pallet dog kennels. 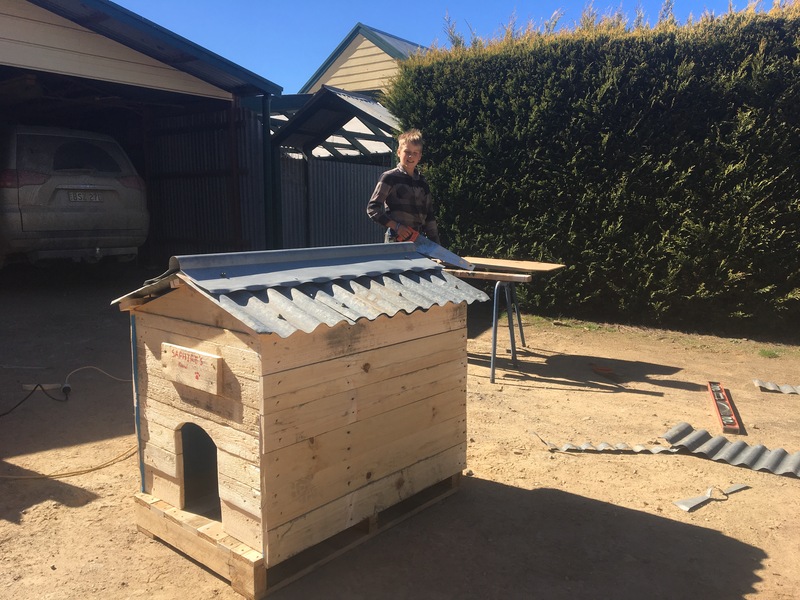 They hope to make another kennel or two in the school holidays – but if you’re really nice to them, they might even make one to order!